The comic actor Antonio De Curtis, universally known as Totò and still winning polls as the most popular Italian comedian of all time a half-century after his death, was born on this day in 1898 in Naples. Totò had a distinguished career in theatre, wrote poetry and sang, but is best remembered for the 97 films in which he appeared between 1937 and his death in 1967, many of which were made simply as a platform for his inimitable talent. Although he worked in dramatic roles for some of Italy’s most respected directors, it was for his comedy that he was most appreciated. His characters were typically eccentric, his acting style sometimes almost extravagantly expressive both physically and vocally. In his humour, he drew on his body and his face to maximum effect but also possessed an inherent sense of timing in the way he delivered his lines. Often, at the peak of his screen career with his characters so well defined, he would dispense with much of his script and simply adlib, giving free rein to the cynicism and irreverence that came naturally. Such was his popularity that after his death from a heart attack at the age of 69 he was given funerals both in Rome, where he lived, and in his native Naples. The crowd that witnessed his funeral procession in his home city was conservatively estimated at 250,000. Born in Rione Sanità, a poor neighbourhood in the northern part of Naples near Capodimonte hill, he was the illegitimate son of a Neapolitan marquis, Giuseppe di Curtis, and Anna Clemente, a Sicilian woman with whom his father had an affair. The marquis wanted nothing to do with the woman's baby and refused to acknowledge Totò’s existence until his son was 37 years old. By then, bitter at having been neglected by his real father, Totò had persuaded another marquis, Francesco Gagliardo Focas, to adopt him. As a result, Totò inherited an extraordinary list of titles, which meant he could call himself Duke of Macedonia and Illyria, Prince of Constantinople, Cilicia, Thessaly, Pontus, Moldavia, Dardania and Peloponnesus, Count of Cyprus and Epirus, Count and Duke of Drivasto and Durazzo, although none had any real meaning and became just another source of jokes. During his schooldays, it soon became apparent that his mother’s hopes that he would become a priest would come to nothing. Totò spent much of his time seeking to amuse his classmates with his jokes and funny faces. It was during his time at school that he acquired his misshapen nose, thought to have been the result of an incident in a boxing match. By the time he was 15 he was appearing in small theatres in Naples under the stage name Clement, his act inspired by the comedy of his boyhood hero, the Neapolitan variety and café-concert actor Gustavo De Marco. He volunteered to serve in the Italian army in the First World War, although when he was about to be sent to the French front, where so many soldiers died, he was so terrified by the warnings of homosexuality rife in the trenches that he feigned an epileptic fit and was discharged. 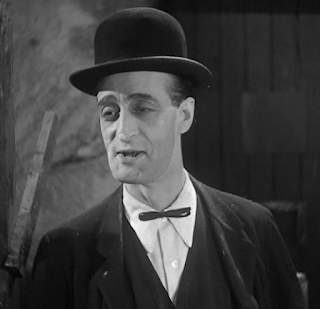 Returning to civilian life, he continued to seek opportunities to perform, although often the pay was poor and it was only his love of the theatre that kept him going. In 1922, he moved to Rome and it was there, on the recommendation of a friendly hairdresser who had a number of clients in positions to give him work, that he was given the opportunity to perform at the Teatro Sala Umberto, a prestigious variety theatre. At the end of his debut performance, full of the touches that would become his trademarks, he left the stage to an ovation and returned for several encores. Groomed to resemble a kind of comic Valentino, Totò took advantage of his popularity with female admirers by having a number of relationships. He had a particularly intense affair with a beautiful dancer, Liliana Castagnola, that was to end in tragedy. Jealous of the attention she received from other men, Totò decided to leave Rome to fulfil a contract he was offered in Padua, only to discover Liliana dead in her hotel room the following day from an overdose of sleeping pills, having recorded her heartbreak in a letter he found next to her body. 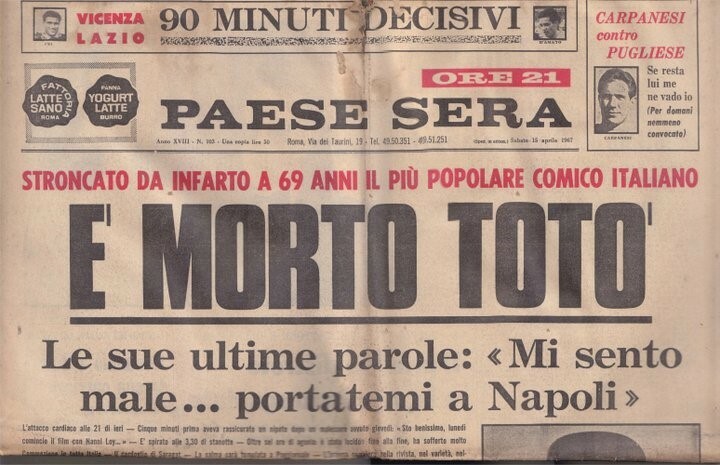 Totò was so stricken with grief and remorse that he arranged for Liliana to be buried in Naples in the family tomb, next to his mother and father, so that he would one day they would be reunited. When his wife, Diana Rogliani, gave birth to a girl three years later, in 1933, he insisted she be called Liliana. It was not a lasting marriage. He filed for divorce in Hungary – it was outlawed in Italy – and they continued to live together only for the sake of their daughter. 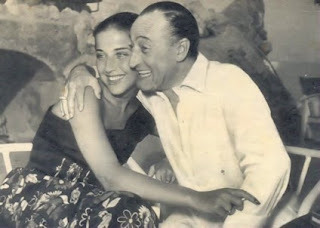 Totò began a relationship with the actress Silvana Pampanini, who he met on the set of his first film in 1937, but it was with Franca Faldini, a beauty he saw on the cover of the magazine Oggi in 1951, that he eventually found what he claimed was his true love. Again it was a liaison scarred by tragedy. Shortly after they were married, in 1954, Franca gave birth to a son, Massenzio, who survived only a few hours. His films, many of which had his name in the title, earned him considerable wealth but he never gave up his stage performances and when his sight began to fail in his latter years it was thought that his decades of exposure to harsh theatre spotlights were a contributing factor. He also composed poetry and songs, one of which, Malafemmena (Wayward Woman) is considered a classic of Neapolitan popular music. 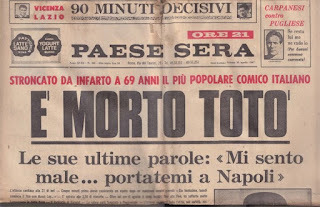 Totò was buried at the Cimitero Del Pianto in the Poggioreale quarter of Naples, next to his parents, his son Massenzio and his beloved Liliana. His films are still shown from time to time on Italian television and sell in DVD form. His daughter has campaigned for the original family home at Via Santa Maria Antesaecula, number 109, to be turned into a museum. 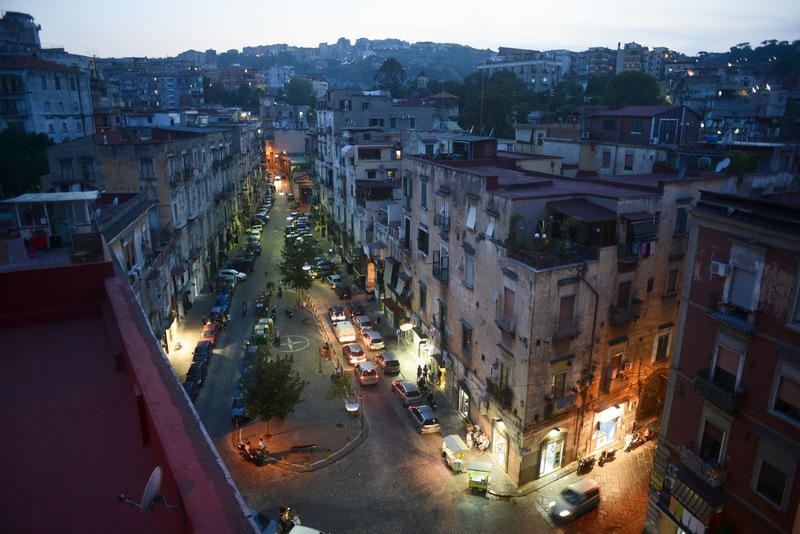 The Rione Sanità district of Naples, where Totò was born, was once home to some of the richest families in Naples, as the presence of some fine palaces is a reminder, but in more recent years has become a notorious slum area, with high unemployment and a dominant Camorra presence. Its air of faded grandeur has attracted writers and film makers to use it as a backdrop. 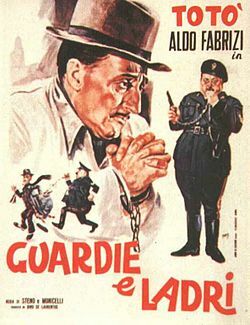 The director Vittorio De Sica, for example, used it as the setting for his neorealist film, The Gold of Naples (1954), in which Totò had a role, and for the comedy Yesterday, Today and Tomorrow (1963), starring Sophia Loren and Marcello Mastroianni. Totò’s home in Rome was in Via dei Monti Parioli, in a leafy, upmarket residential area between the Pincio and Flaminio quarters. 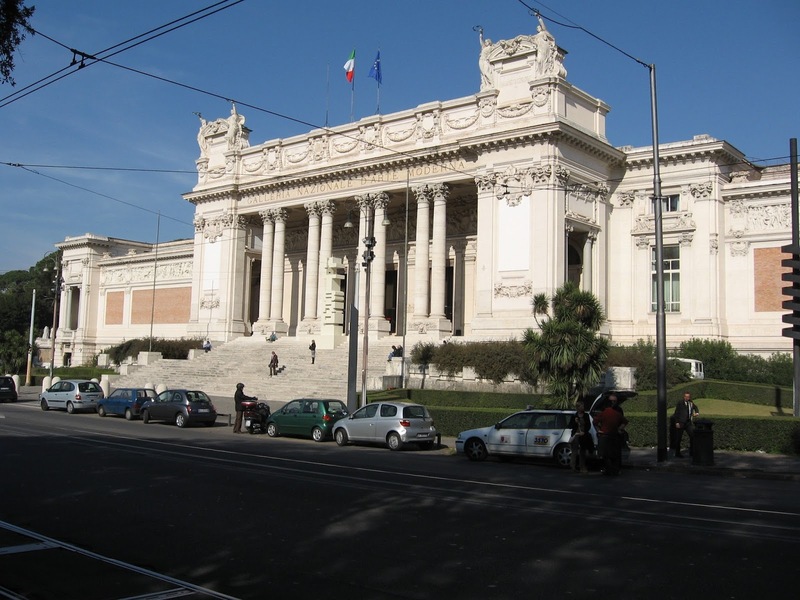 The area is home to several museums and art galleries clustered around the Via delle Belle Arte, including the Galleria Nazionale d’Arte Moderna (National Museum of Modern Art) in the magnificent neoclassical Palazzo delle Belle Arte (Palace of Fine Arts), designed by Cesare Bazzani and built between 1911 and 1915. The gallery houses some 1,100 paintings and sculptures of the 19th and 20th centuries.